Happy New Year everybody! This is going to be the first blog post of the year. When we started the blog, we told that we would write every week. But soon it turned out that writing once a week is pretty time consuming. That is why we decided to not write once a week, but only once a month. We will recap what happened last month and our plans for upcoming month. And also to touch on one specific topic. "What a nonsense, the game runs pretty smooth. Most players don't have any problem with it." "Try it Geert", Imhoff said, "it doesn't run smooth!" Mooh! What was this? It was indeed stuttering like mooh? How can this be? First of all, this has not always been the case. Very quickly we found out that Chrome had updated my browsers to remove the old NPAPI player and replace it with a PPAPI player. Disabling this had a tremendous positive effect. But we can't let all our players change their NPAPI/PPAPI players. Our game should also run smooth with the PPAPI player. How to fix this? Another problem is that we didn't have a clear picture on how big the problem actually is, and what the impact is of our actions, or actions by third parties (with this we mean updates by the browsers and the flash player plugin). So far we had to rely on forum posts. And the topic writers don't excel in clearly pointing out their problems, or in digging deep in the problem. Most importantly, the people who do have this problem, probably stop playing even before they want to make a forum topic. That is why we added a new feature. We now send performance reports about our game to our servers. It works like this: Internally the game runs on 25 steps per second and the framerate of the game is 60 FPS. So in general, there is 1 frame were nothing happens and 1 frame were the game actually increases with 1 game-step. No way the game could put 2 steps in 1 frame... unless your performance is bad. We call this a frame skip. And this is precisely what we log now. Opera! We recommend everybody to play with Opera. More importantly, is that we now have a objective measure of the performance of our game. 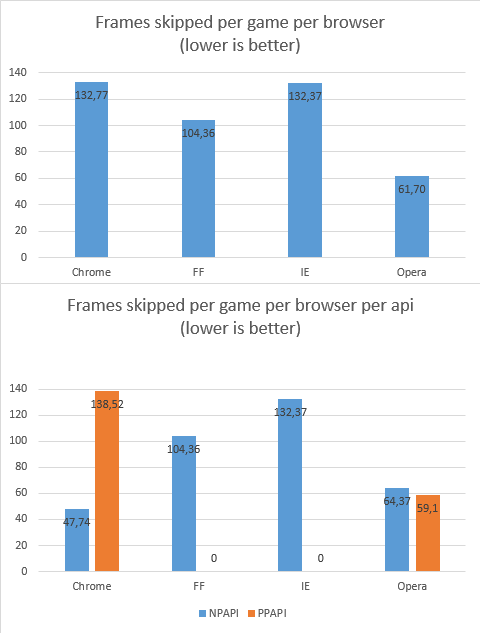 Future updates should result in a decrease of the skipped frames, and thus in a smoother experience of Curve Fever. What else happened in January. Among others: * We moved to an office! And it is great to have your own work place. A place where you can work, and don't need to share for living. * We have made an extensive list of things that needs to be changed in the game. Expect many bigger and smaller changes to happen soon. 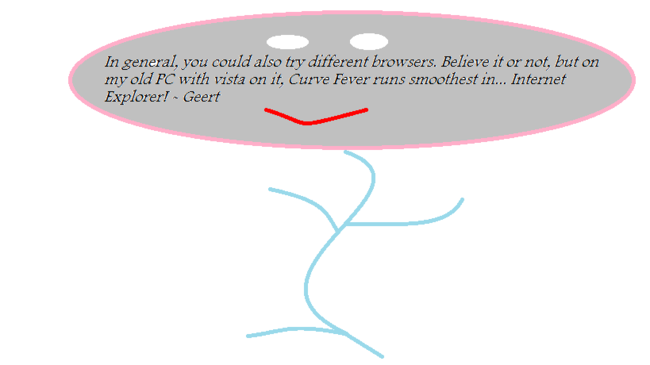 * We have thought of a new emerging game play element for Curve Fever. * Quick Play will find it's way in Curve Fever. * We did a user test on how first time players experience Curve Fever, and work on improving this. * We set up a way to detect air-deaths, so we can better solve this in the future.